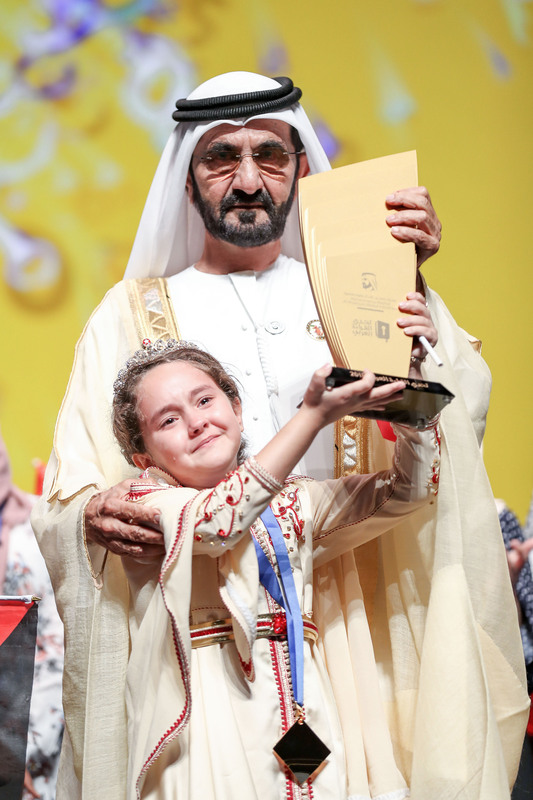 DUBAI, 30th October, 2018 (WAM) -- His Highness Sheikh Mohammed bin Rashid Al Maktoum, the Vice President, Prime Minister and Ruler of Dubai, today crowned Maryam Amjoun, a student from Morocco, as Champion of the third Arab Reading Challenge at a packed award ceremony at Dubai Opera and presented her with the cash prize of AED500,000. Al-Ikhlas School from Kuwait received the Outstanding School award and a cash prize of AED1 million to develop its educational capacities. Aisha al-Tuwairqi from Saudi Arabia won the Outstanding Supervisor title and a cash prize of AED 300,000 in recognition of her efforts as an inspirational teacher. Tasneem Eidi from France was named Outstanding Student from Arab Communities Residing in Non-Arab Countries and walked away with AED100,000. 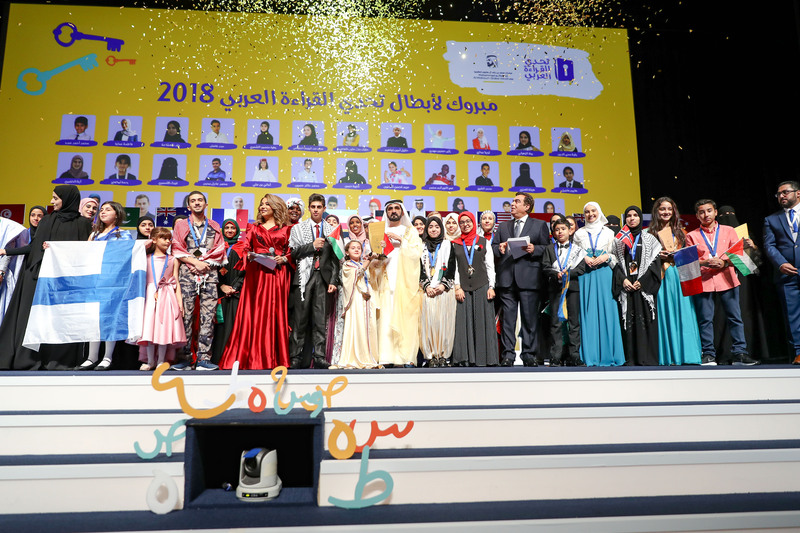 The 2018 edition of the largest Arab literacy initiative in the world drew the participation of 10.5 million students from the Arab region and worldwide. Millions of people across the globe followed the competition and supported the contestants. 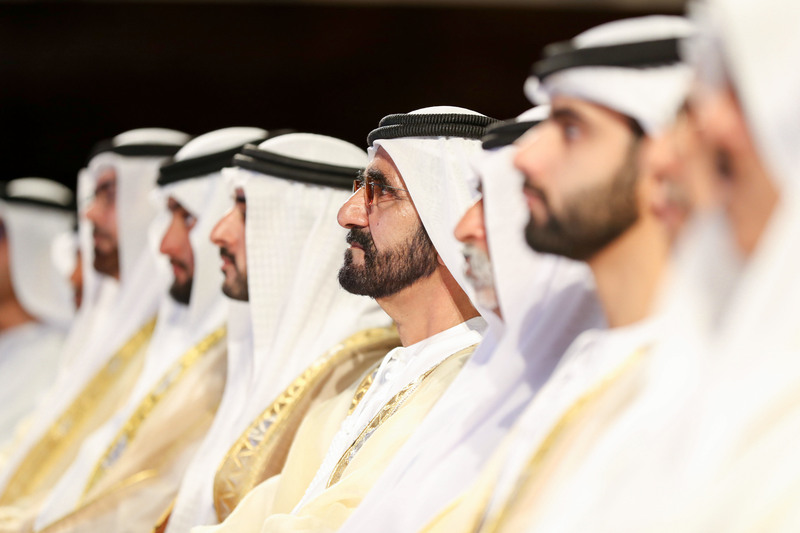 Congratulating this year’s contenders and winners, Sheikh Mohammed bin Rashid said, "A river starts with many drops, and the participants of the Arab Reading Challenge are the first drops in the river of knowledge that we look forward to discovering in every corner of the Arab world and beyond. We rely on the reading champions to help us build a knowledge-based future for the region." He added, "The finalists of the competition have become role models for millions of Arab students in their keen interest in acquiring knowledge and their determination to succeed. Every book read by the contestants serves as a gateway to communicate with the people of the world." Stressing the importance of reading, Sheikh Mohammed bin Rashid said, "Books are the source of ideas and values for the next generations. A generation that reads is a promising one, and a nation that reads is one that invests in the future. Reading creates global citizens who care deeply about making the world a better place." Praising the collective efforts that helped the Challenge achieve its record uptake this year, he added, "The participation of 10.5 million students is indeed a great accomplishment for all those who have supported our initiative. The Arab Reading Challenge is just a start. I call on everyone who has the means to do so to launch similar literacy and knowledge projects in the Arab world." 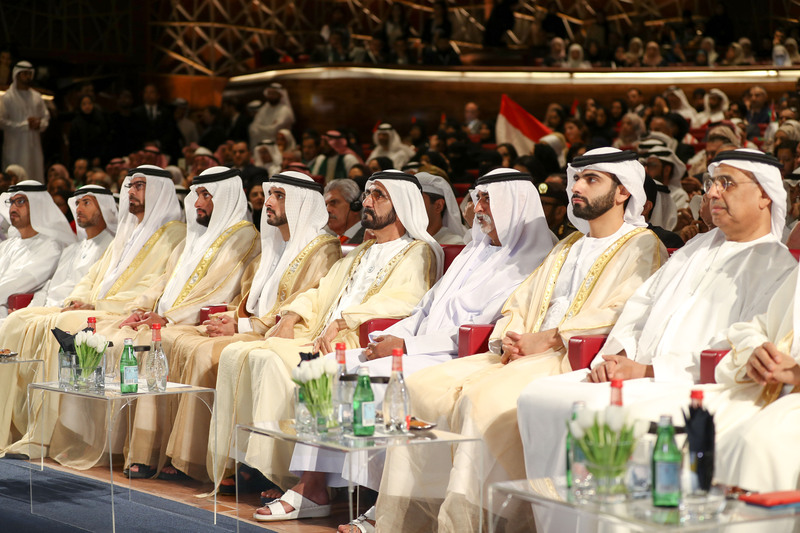 The award ceremony was attended by H.H. Sheikh Hamdan bin Mohammed bin Rashid Al Maktoum, Crown Prince of Dubai; H.H. Sheikh Ahmed bin Mohammed bin Rashid Al Maktoum, Chairman of Mohammed bin Rashid Al Maktoum Knowledge Foundation; H.H. Sheikh Mansour bin Mohammed bin Rashid Al Maktoum; Sheikh Nahyan bin Mubarak Al Nahyan, Minister of Tolerance; and Mohammad bin Abdullah Al Gergawi, Minister of Cabinet Affairs and The Future, Secretary General of the Mohammed bin Rashid Al Maktoum Global Initiatives, and Chairman of the Supreme Committee of the Arab Reading Challenge . Maryam Amjoun, Champion of the Arab Reading Challenge 2018, impressed the audience with her confident interaction with the jury and her profound knowledge, manifested in her eloquent expression. She highlighted the crucial role of reading in shaping knowledgeable individuals that are ready to contribute to society, participate in development and generate knowledge. In recognition of her exceptional abilities, Amjoun received the highest numbers of votes from the audience, matched by the jury’s assessment. Other finalists also fared extremely well in the finals. Maryam Mohammad Yousef from Egypt articulated her interest in writing a book on enacting change in the Arab world and reviving the glory of the Arab nation. Nada Anqal from Algeria delivered a strong performance, while Qassam Sbeih from Palestine received a standing ovation for his statement that reading to him is life and has given him the determination to achieve his ambitions. Meanwhile, Mohammad Khaled Hussein from Jordan expressed his wish to continue acquiring knowledge and shared his aspiration to become a scientist and win the Nobel Prize in Physics. Five students qualified for the final round in the two-day semi-finals, held in Dubai with the participation of 16 competitors from the Arab world and Arab communities residing in non-Arab countries. The jury at this year’s Arab Reading Challenge finals comprised Dr Ali bin Tamim, Director General of Abu Dhabi Media, poet Ali al-Huwarini and talk show host Muna Abu Sulayman. The jury posed various questions to the contestants to test their knowledge, communication skills, and ability to articulate and organise thoughts. 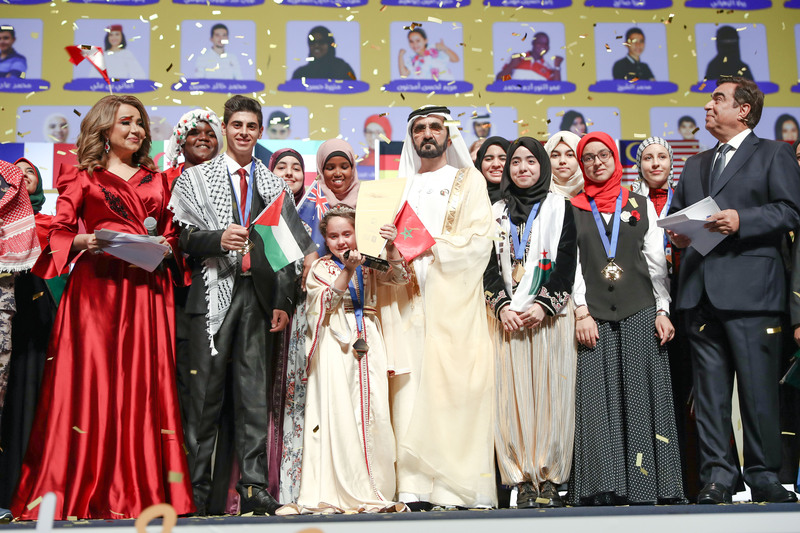 Five schools – Al-Ikhlas School from Kuwait, Mujamma al-Salam School from Saudi Arabia, Abdulhamid Dar Abid Sidi Ali High School from Algeria, Al-Wehda High School from Morocco and Al-Awda Girls’ School from Palestine – competed for the Outstanding School title. All 7,871 students of Al-Ikhlas School participated in this year’s Arab Reading Challenge. The school has adopted an innovative approach to instilling a culture of reading among its students as well as in the community, including people with special needs, earning it the title of Outstanding School. In addition to launching six literacy initiatives in Kuwait and two abroad, it organised the Sana al-Ikhlas literacy drive, 12 workshops, seven reading trips, 10 literacy events and motivational campaigns, and more than 140 studies and debates. 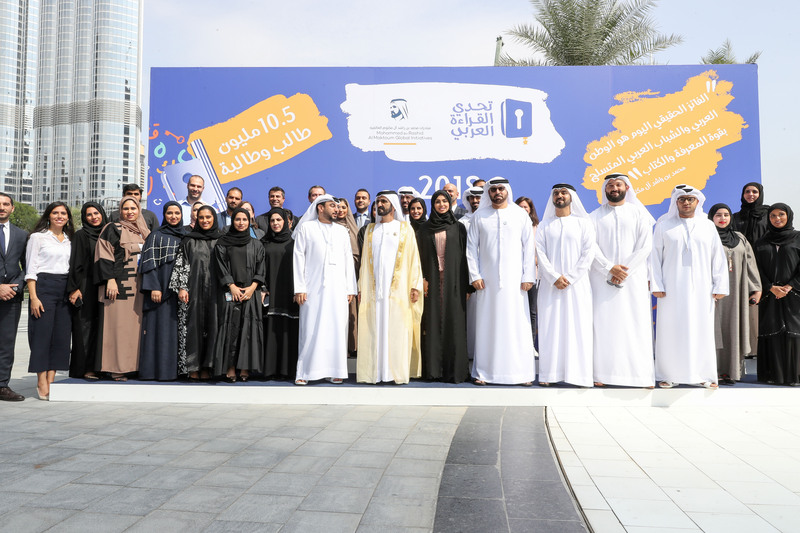 For the second consecutive year, the Arab Reading Challenge enabled the public to vote for the outstanding school through its website over five days. The call to vote witnessed an unprecedented response. More than 87,000 supervisors guided their students through the competition and motivated them to complete all phases of the Challenge. Media personalities George Qerdahi and Barween Habib hosted the closing ceremony that drew the participation of over 1,800 attendees, including officials, Arab ministers of education, Arab and international intellectuals, UAE diplomats and journalists. 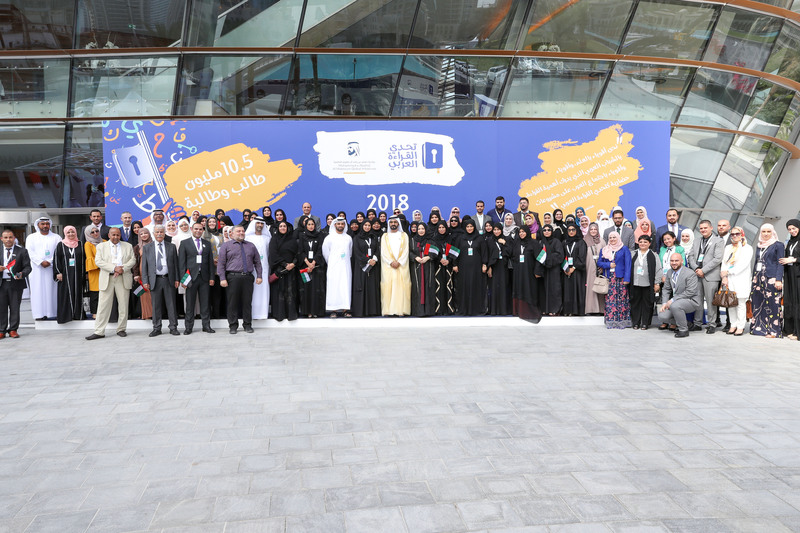 The event featured a performance by the singer Balqees and a show that recounted the journey of the Arab Reading Challenge since its launch, highlighting inspiring stories of students, supervisors and schools across the Arab world, as well as of outstanding participants from non-Arab countries. The ceremony was broadcast live in eight Arab countries.